Dr. Willenbring, the founder and CEO of Alltyr: Transforming Treatment for Addictions and the former director of treatment research at the National Institute for Alcohol Abuse and Alcoholism, is pioneering new ways to conduct addiction treatment. His talk, will focus on overcoming barriers to making scientifically based professional treatment available to the public. Dr. Willenbring was recently profiled in the New York Times. Dr. Jon E. Grant, principal investigator of the NCRG Center of Excellence at The University of Chicago, will respond by talking about the implications of Dr. Willenbring’s ideas for the treatment of gambling disorder. Dr. Tovino will present an update on her groundbreaking research demonstrating that challenges remain for securing insurance and disability coverage of gambling disorder. 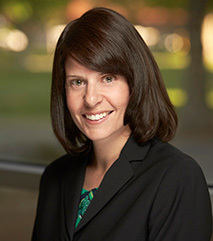 She is the Lehman Professor of Law at the William S. Boyd School Of Law and the Director of the Health Law Program at the University of Nevada, Las Vegas. A psychiatrist and internationally known expert in mindfulness training for addictions, Dr. Brewer has developed and tested novel mindfulness programs for addictions and studied the underlying neural mechanisms of mindfulness using brain imaging. His work was featured on an episode of 60 Minutes. Dr. Brewer is director of research at the Center for Mindfulness and associate professor in the departments of Medicine and Psychiatry at the University of Massachusetts Medical School. Visit ncrg.org/conference for more details about the 2016 NCRG Conference on Gambling and Addiction. Registration information will be announced soon - stay tuned!